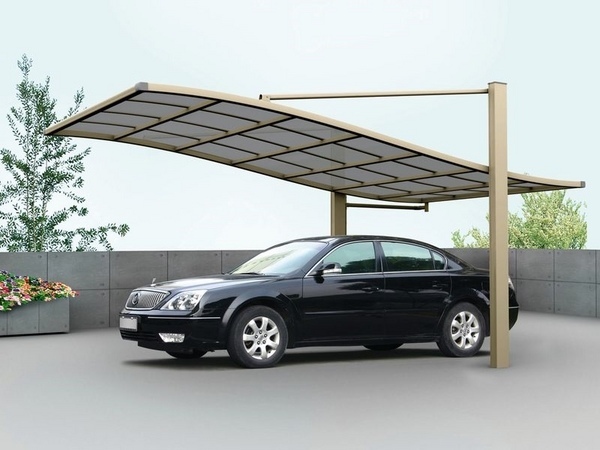 Metal carports and metal garages come in many and different varieties – single car carports, RV carports, modern metal garage buildings, you can find them in a variety of materials, traditional or modern designs and we shall look at the different options suitable for any automobile owner. 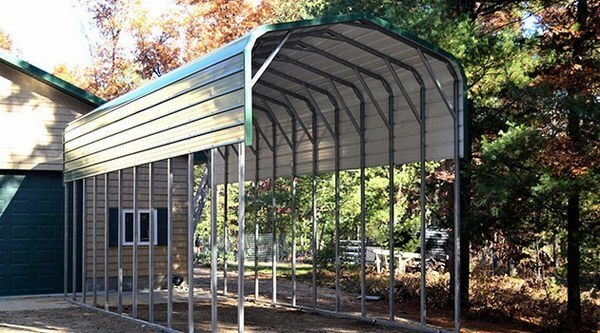 Metal carports and garages are one of the most popular way to protect your car, truck, motorcycle, RV or farm equipment from the elements. 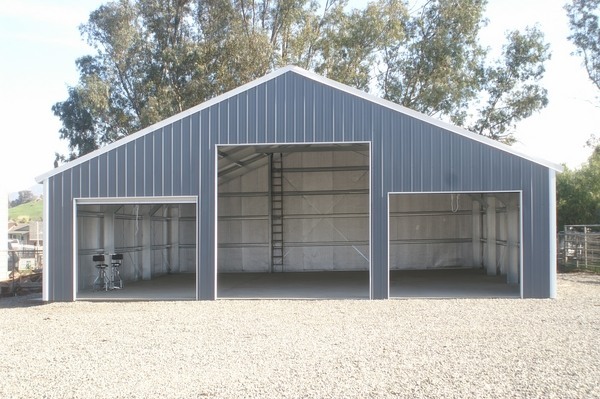 The market offers numerous options – from simple one car models to metal RV covers, carport combo units, garages, triple wide carports, horse barns, classic barns and large commercial metal carports. Your vehicles are worth protecting, aren’t they? RV carports and shelters – what to consider when choosing one? 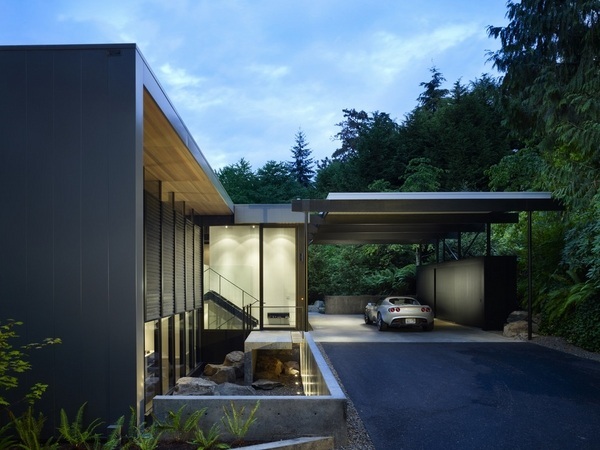 Have you wondered how to get a modern, aesthetically pleasing garage or a shelter for your car, something that will work with the style of your house and will not look in an awkward way? You may have searched information and not being able to make a final decision. It is difficult to decide between a wooden garage and a metal garage, to choose one of the thousands options advertised by sellers and manufacturers. 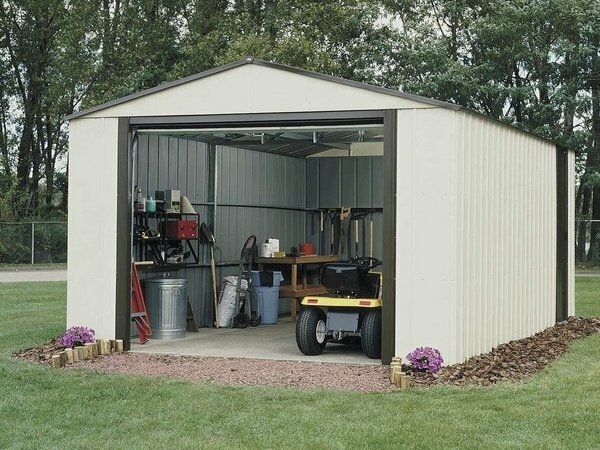 What are the advantages of a metal garage? 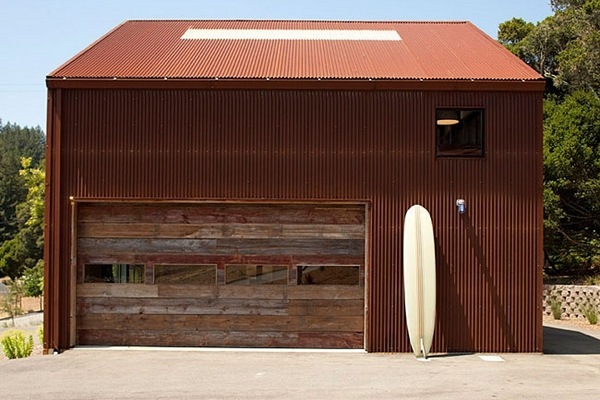 A metal garage offers many advantages. It is practical and easy to assemble, it is sturdy enough to provide good protection. Metal is widely used as a material in the exterior design because of its ultra-resistant properties – metal roofing, for example is especially popular. 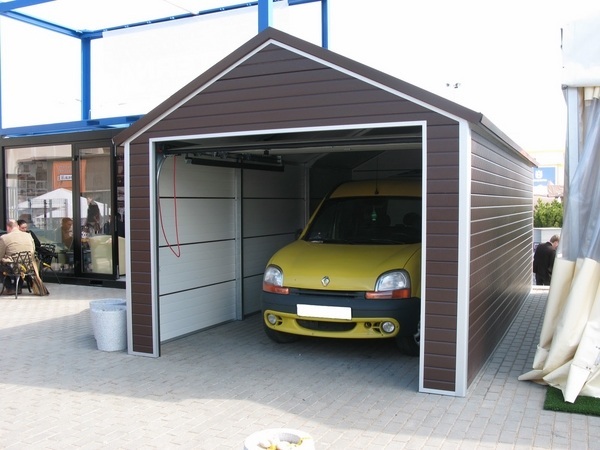 A metal garage is the ideal room to shelter a vehicle and protect it successfully from weather and temperature changes. The garages are available in many colors – steel color, painted (one or two tones), it is possible to choose the color of the garage so that it meets your personal taste and preferences. Depending on the style and the needs, there are options for one or two cars. 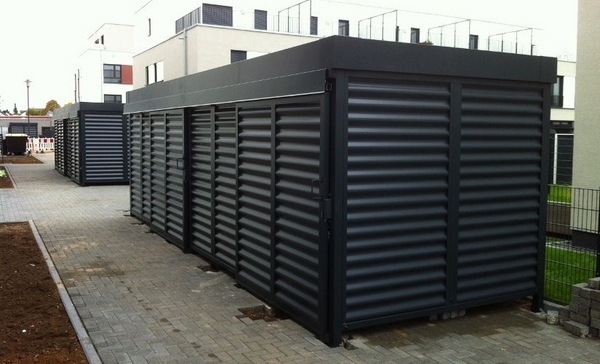 It is possible to have any type of customization and you can choose from different models – with a flat or sloping roof, made of corrugated or galvanized steel. 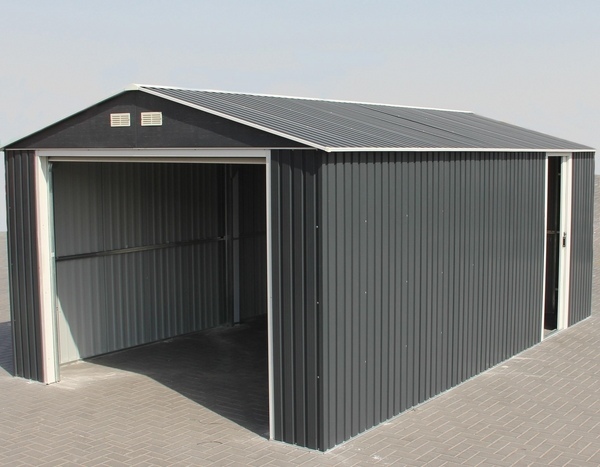 Among the advantages of a metal garage are its practicality, the easy installation and the simple handling. Many manufacturers offer kits which can be assembled in a weekend and if you are keen on a DIY project you may not need a handyman or a professional builder, neither specific tools. Adaptability is another advantage. They can be adapted and placed in any space – in the garden, behind the house or on a separate lot. You can disassemble a metal garage and move it, if needed. The garages come with different types of doors and you can choose the one that suits your personal preferences – a sliding door, tilting door, motorized doors operated with a remote control, etc. 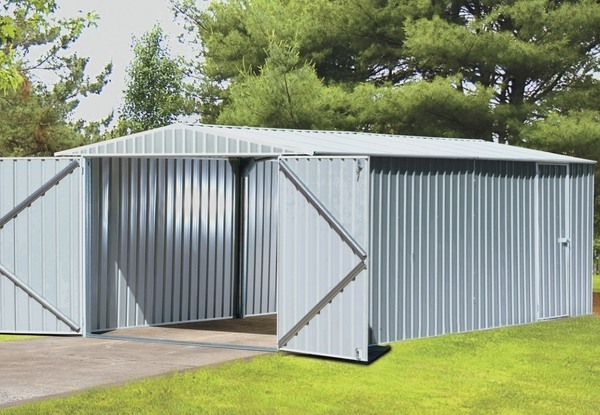 A metal garage can be an independent construction, that is a detached garage, and depending on the available space you can have a small, medium sized or a large garage and park one or more cars and have additional storage space. Customization options are offered by most manufacturers. You can order a specific size, type or color and make sure that your metal garage will blend with the exterior of your home and the overall design concept. The easy maintenance is another important benefit that metal garages offer. They do not require anything more than a wet sponge to be kept clean. 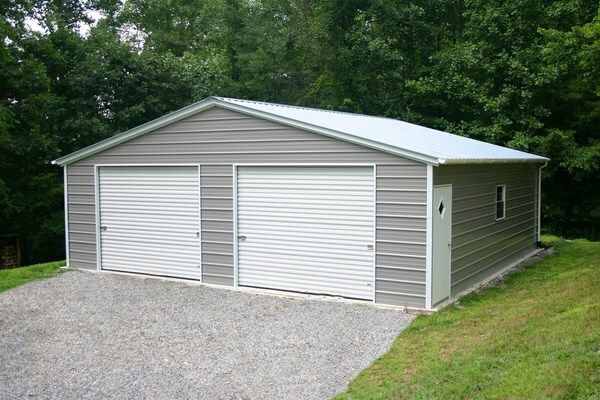 Price – last, but not least, metal garages come at an affordable price and are the perfect solution when you are on a budget. 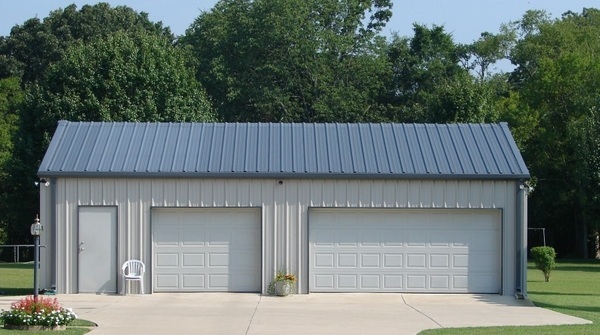 What are the disadvantages of a metal garage? 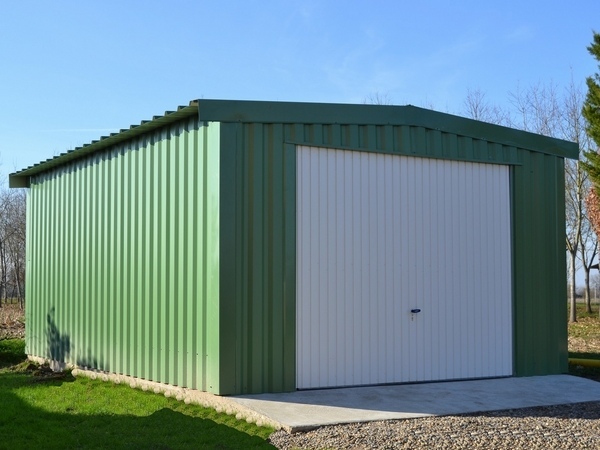 As many advantages a metal garage has to offer, there are a few drawbacks which you need to keep in mind and certain limits which you may find important. The first of the disadvantages of metal garages concerns the land on which the garage will be installed. 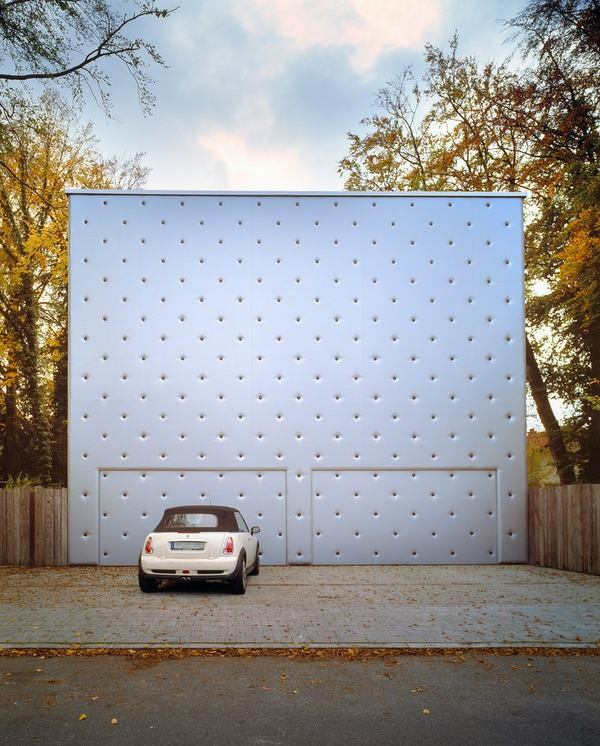 Indeed, it is essential to build a reinforced concrete slab in place of the future garage. This is an additional investment and a laborious project, especially if you plan to install a big garage. The purpose of this slab is to provide a stable, solid foundation for the garage. Make sure that the slab is 15-20 cm above ground level to prevent rain water or melting snow water invade into the garage. The surface of the foundation or slab should be perfectly horizontal. The concrete for the foundation should be poured to form a single monolithic element. The need of insulation is another very important issue. Every car owner knows that the garage must be dry and relatively warm. Insulating and heating are important because if you neglect them you may end up with condensation. Moisture and low temperatures are not favorable to your vehicles. Creating optimal conditions, i.e. insulation, in the metal garage will not only guarantee a careful storage of the vehicle, but will save unnecessary costs for repairs in the future. It is very important to choose the right type of insulation, as this will determine the performance of your metal garage. Ventilation is another issue which you should keep in mind when considering whether to opt for a metal garage. Ventilation helps to avoid condensation and regulate moisture levels and accumulation of gases. 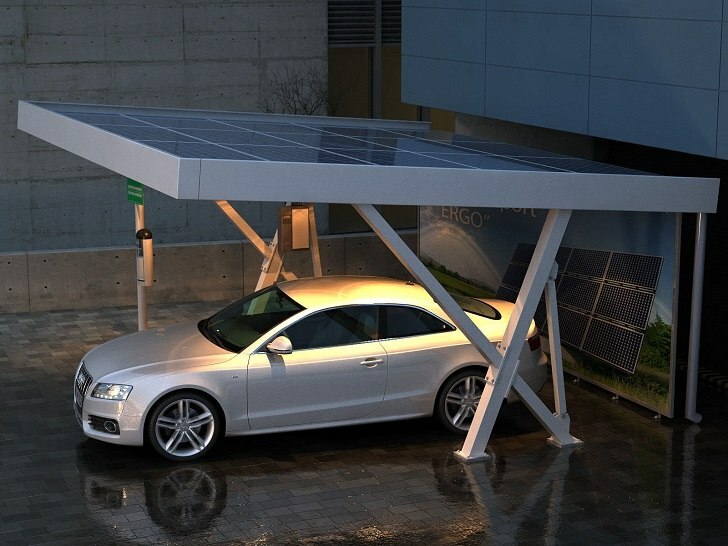 What are the advantages of metal carports? 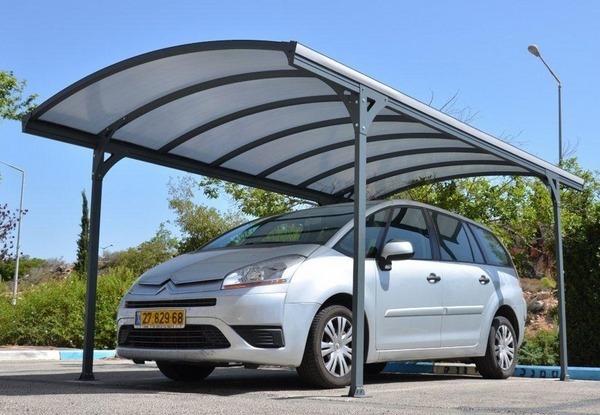 What is a metal carport and why these are a good choice for your vehicles? The word carport originates from the French term “porte-cochere”, referring to a covered portal. 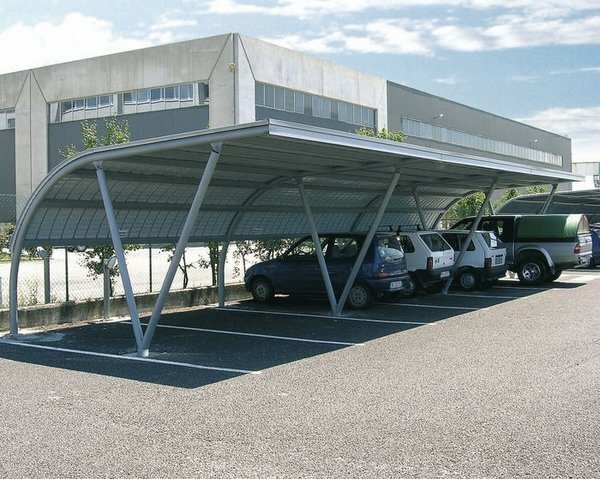 Carports are covered structures, free standing or attached to a wall, which offer a protection to vehicles from the elements. 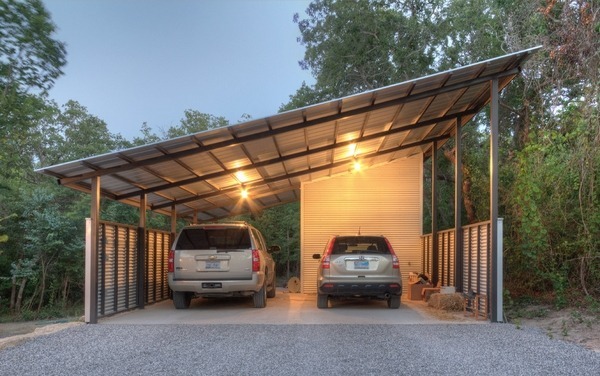 A carport does not have four walls, but one or two, and by definition, they offer a limited protection in comparison with a garage structure, but allow for more ventilation. 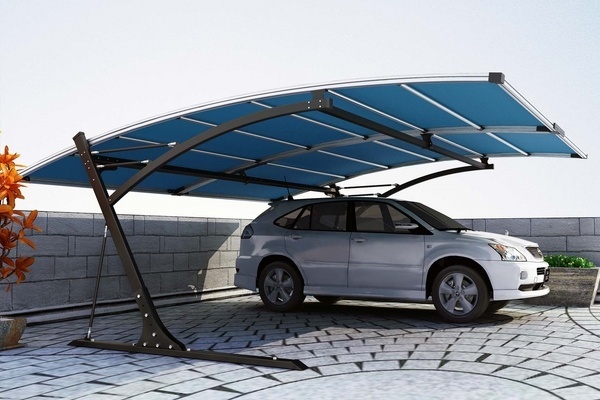 Modern metal carports are made of steel, tin or aluminum, and typically are modular structures and their enormous popularity for commercial and residential use is due to their practicality and affordability. 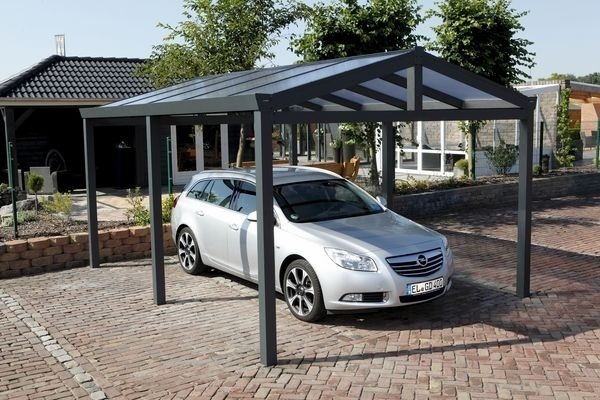 Carports come in many different designs and roof shapes, they differ in sturdiness, so you can definitely find a model to suit your taste and needs. Why install a metal carport? More and more homeowners are choosing to install a carport to house their car or motorcycle. 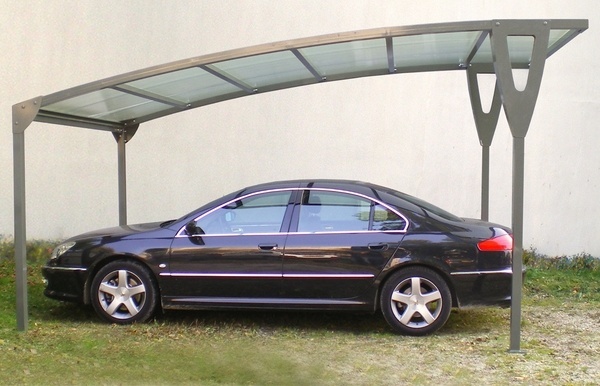 There are many reasons to choose a carport over any other structure as well as many advantages. 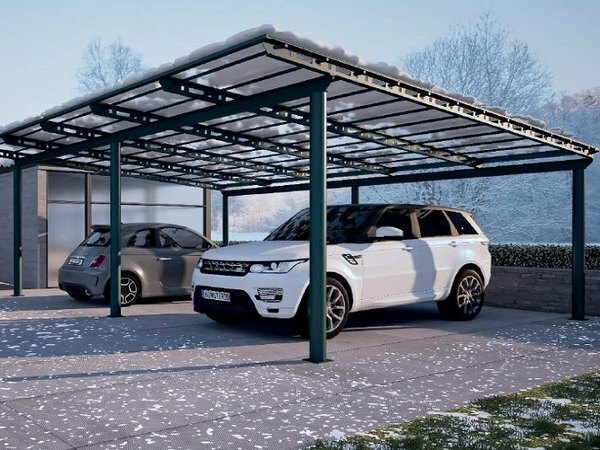 Carports will offer a good shelter to your vehicles and will protect them from external aggressions such as rain or snow. In addition to that, these are a practical solution, very convenient to use and with practical dimensions. Metal carports are an excellent way and a good alternative for wintering caravans, campers or boats. A carport can also be transformed into a real living space in summer if you arranged some garden furniture or an outdoor kitchen. 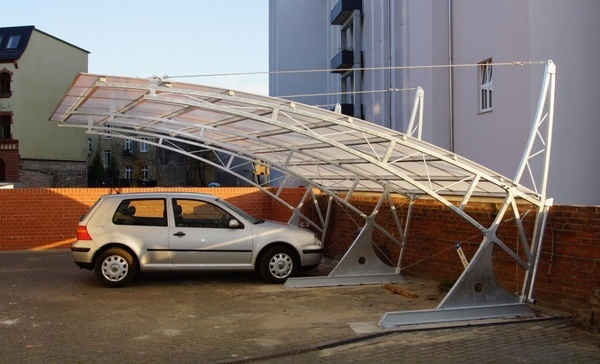 One major advantage of metal carports is that in many areas you do not need a building permit and represents a much lower financial investment than building a garage. Further to that, the carport will add architectural and financial value to your home. Carports are much easier to access being without doors, you just have to come and go as in a private parking, but well sheltered. The space offered by the carport is also a real advantage. If in a garage a minimum distance between the wall and the car must be kept in order to open the doors, this is not the case with carports. Even if the dimensions of the shelter are modest, getting in and out of the vehicle will not be a problem. 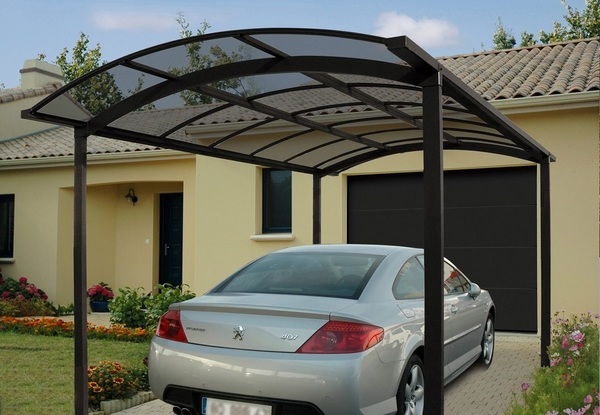 Under a carport, a car, a bicycle, a boat, caravan or a motorcycle is protected from the sun, rain and snow. The metal garage also provides a good shelter, but it favors condensation. Since the carport is not closed, the vehicle is not exposed to condensation and is less susceptible to rust. Moreover, by installing this type of open shelter, those who already have a garage can use the space for a different purpose, for example by transforming it into a living room, a guest room, a kitchen, etc. 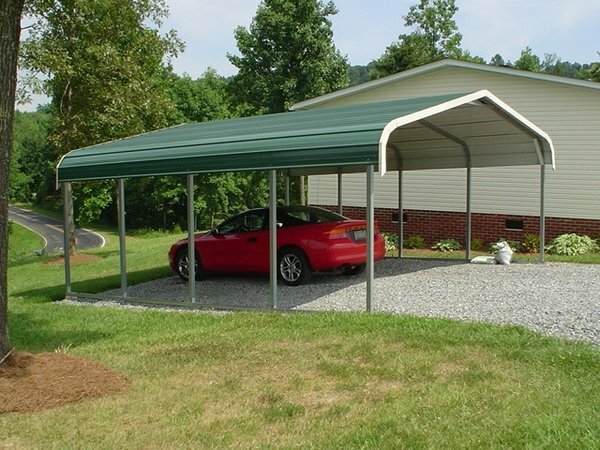 Customization options – A carport is easy to personalize. 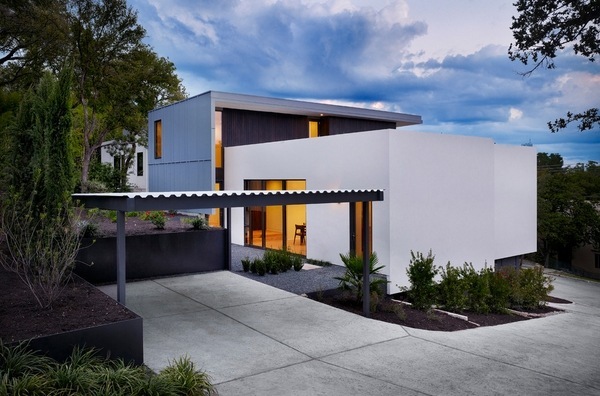 Its contemporary design adapts harmoniously to any house style and its architecture. From gray to blue through black and ivory, its trendy colors emphasize clean lines and subtle finishes. 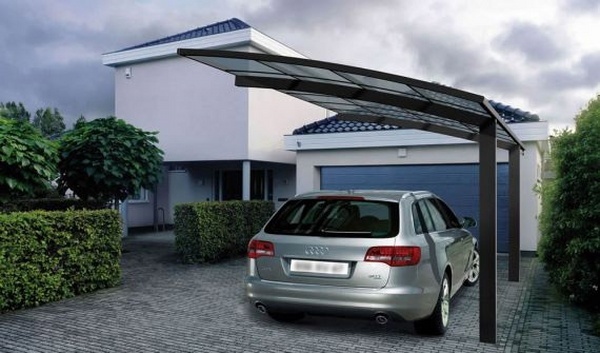 Metal carports are suitable for old houses, as well as new buildings, no matter their architecture. The market offers many models in a wide variety of sizes, different styles, various finishes and in various and resistant materials. 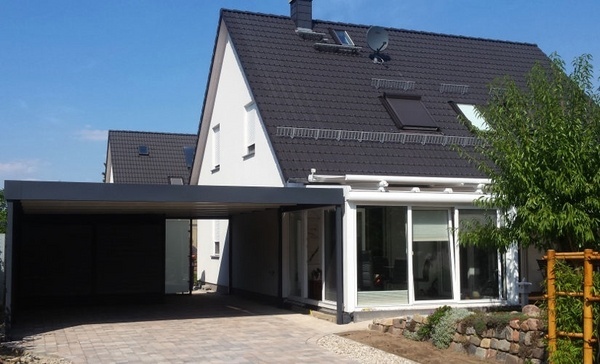 In addition, they are available with different forms of roofs and the height and length of the carport also adapt to the configuration of your exteriors. 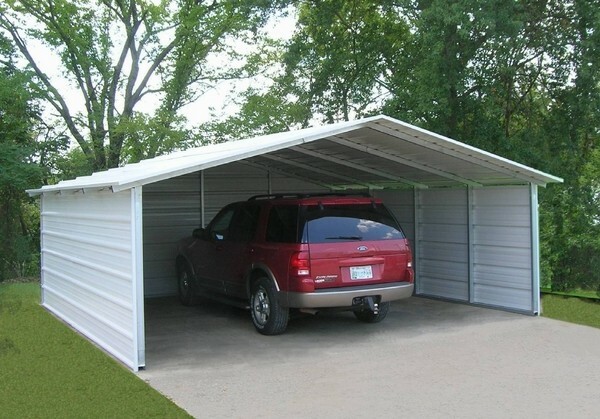 Carports are portable and can be transported anywhere. You can disassemble it and move it to your new house, if you wished. Many models are offered with an adjustable height which is a great advantage as you can make adjustments if you need extra height or the ground is not level. A carport is cheaper than a garage. 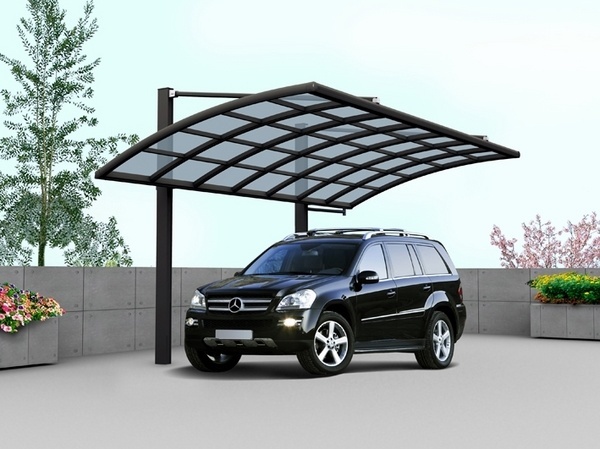 Price is the main criterion that attracts customers to purchase and install a metal carport. 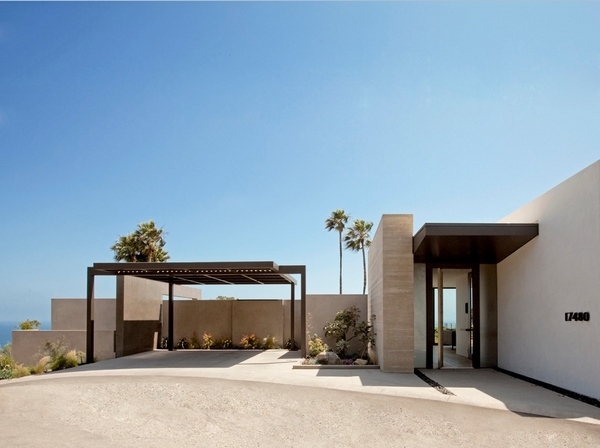 Compared to the construction of a garage, a metal carport installed in the garden or adjacent to the building involves significantly less expenses. In addition, it is not always necessary to call on professionals of construction to have a nice carport at home. 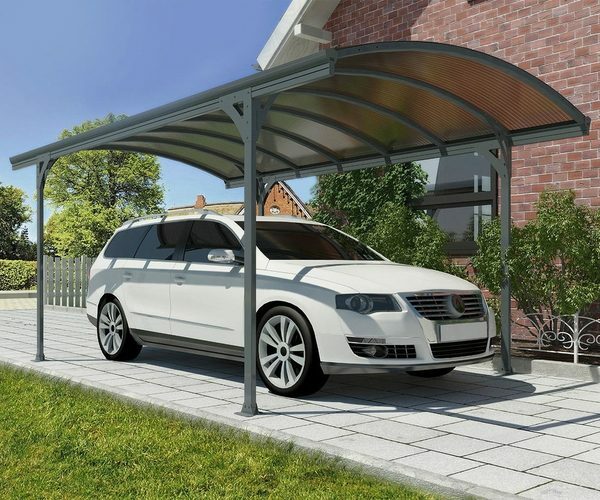 You can choose a metal carport kit ready for installation, accompanied by a guide and instructions and understandable to anyone knowing how to hammer and screwdriver. How to choose a metal carport? What do you need to keep in mind? Here are some useful tips which will help you with the most important considerations. 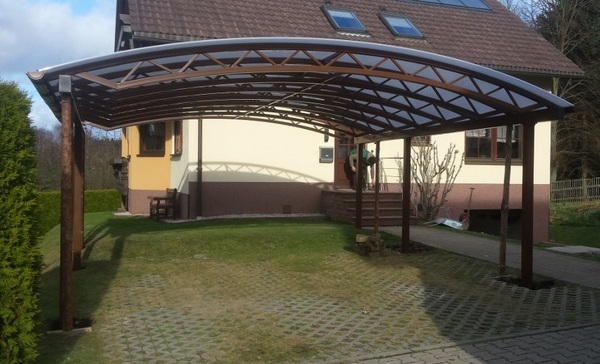 There are many different carport designs and the first question that you need to be answered is what sort of vehicle do you need a carport for? Do you need a shelter for your family car or a small truck? Do you want a larger shelter which will accommodate a car, a minivan or bigger vehicles like a boat, farm equipment or an RV? The answer to that question will determine the size of the carport that you need. If you plan to buy another vehicle in the future or you wish to store items, you will need a bigger carport. One thing that many homeowners who want to shelter several vehicles neglect, is the need of a concrete slab as a foundation for the carport. This is something to keep in mind too. The climate conditions in the area where you live are another consideration when you choose the type and the design of your carport. 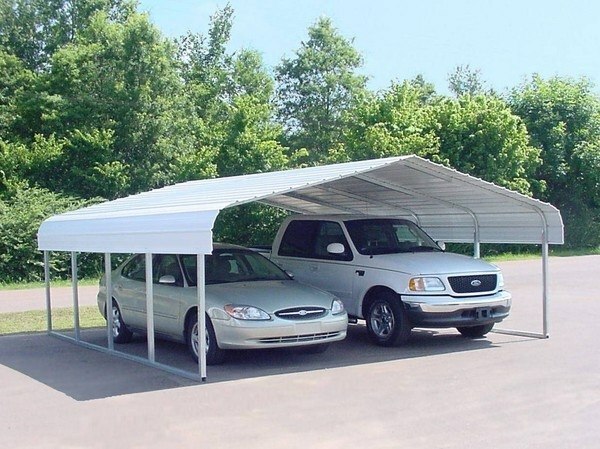 The most popular types of carport roofs are vertical, boxed eave or flat. For example, in areas with a heavy snowfall, carports with a vertical style roof would be a good choice as the design of the roof allows the snow to slide off. 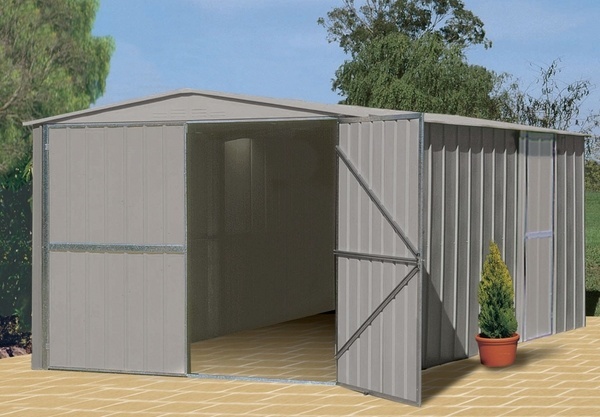 Whatever you choose, a metal garage or a metal carport, you will have a light and resistant, metal shelter which will offer you a protection for all your vehicles and will allow you to store your tools, your garden furniture, bikes and any other equipment. The advantages of wooden garages – why choose wood as material?